Captivating read. I couldn’t put the book down. 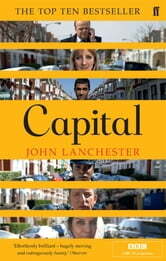 This book is a contemporary picture and analysis of life in the city of London UK (first two decades of the 21st century). Although it focuses on the story of one single street (Pepys Road in South London) it cleverly weaves in an enormous amount of colourful life stories and is full of vivid images about its inhabitants. It is a powerful display of parallel lives that intertwine but never mix. True to that vast city, the characters come from diverse social and financial backgrounds: the Polish builder, the famous African footballer from a remote village in Africa bought by one of the city’s famous Premier League Club, the Muslim shopkeeper and his extended family originally from Pakistan, the very British banker working in the City, the Hungarian nanny, the white policeman investigating Pepys Road, the traffic warden refugee from Zwimbabwe working illegally, the extravagant and absurdly adulated white artist who hides behind his anonymity and so on. Each one of the characters came to London with dreams and hopes, works hard and fights his own battles. They live side by side and have only one thing in common: their street comes under some strange sort of threat. The book feels so true to reality. The author has an amazing power of observation and analysis. He is able to get us into the heads of all those diverse characters. It is a feast. The author doesn’t tie up the loose ends at the end. I wished for more (a good thing) and was left wondering what happened to a lot of the characters I cared for. However this is typical of London. People come and go and no one knows what happens to them. The threat under which the street was, although intriguing at first, sort of fizzles out but this is unimportant. 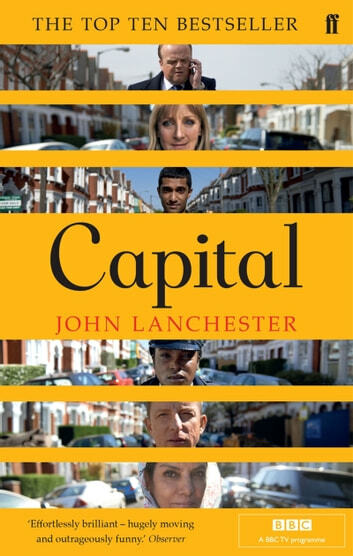 The book is a page turner and an authentic depiction of life in London. A treat. Excellent read. A real page-turner. I'd highly recommend this book. I cared about the characters and what happened to them. The short chapters kept the pace and meant I could read in short bursts, which I like. Everything was wrapped up a bit too neatly at the end, but that didn't spoil the book for me. Since I read Lanchester's Debt to Pleasure I've looked forward to his satirical writing and enjoyed his essays in The London Review of Books. Here, I was surprised by his retreat from his expertise about the financial collapse but nevertheless enjoyed his characters who lived on the edge of that financial abyss. The youth footballer making his English debut, the Polish builder, the modish graffiti artist, the honest detective, the Zimbabwe refugee, the Pakistani shop family and the elderly English widow all have intriguing stories told about their lives during and after the crash.